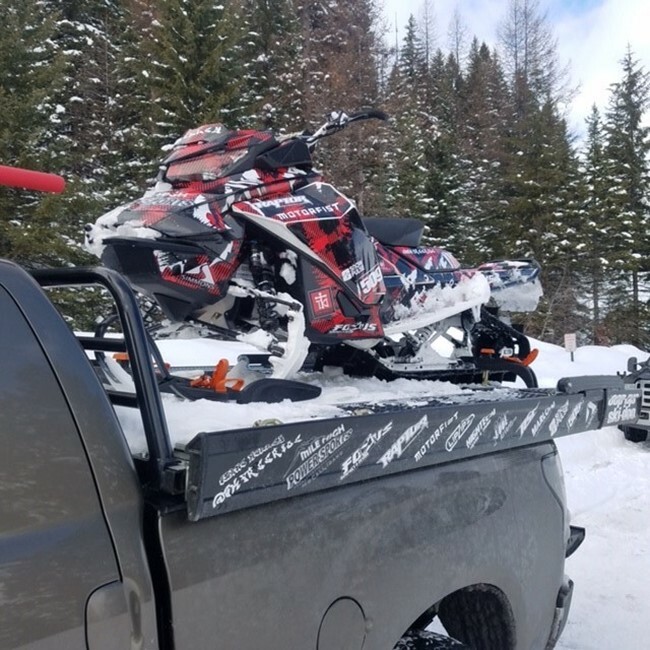 7' Xplore Truck Deck - PRO models come with all the features aluminum decking, superglides, superglide extrusions mounted on the deck for loading on the sides or down the middle and two rear superclamps. 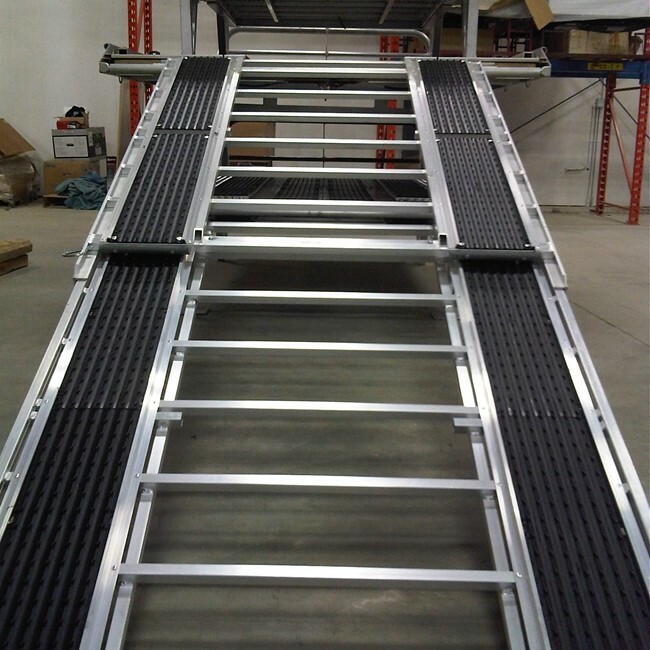 Same solid infrastructure that we have built our decks on for over 15 years with a new side extrusion. Our side extrusion encloses all wiring for the bullet LED lights and offers an easy grip profile at the bottom to extend or pull your sides out. Side extrusion also holds Supertrac at a 45 degree angle with 4 tie downs. 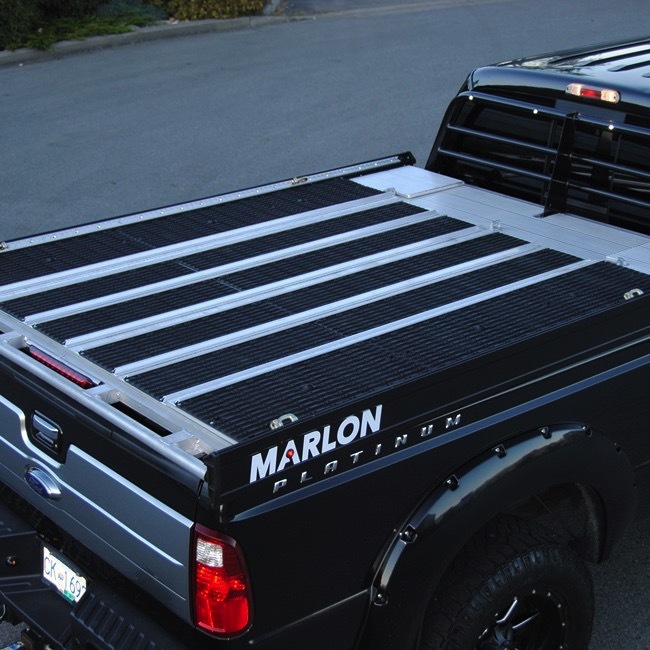 This offers multiple tie down locations completely down the side of your Marlon Xplore deck. 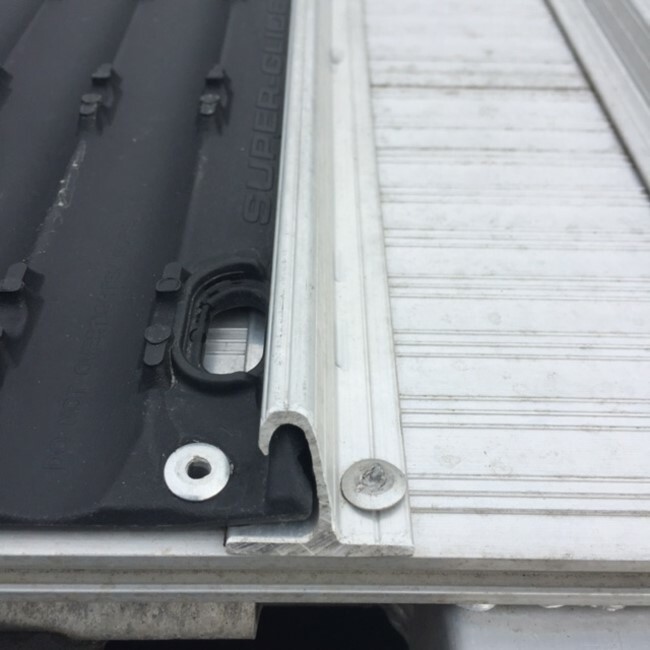 Superglides are also held in place at the outer sides of the deck as we have incorporated the superglide profile into our side extrusion to save room on the decks. 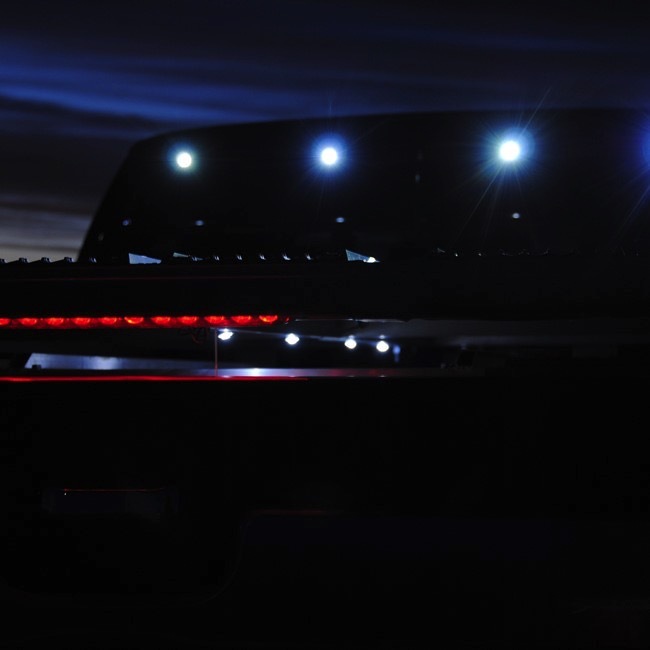 LED bullet lights are strategically placed in the head ache rack and under the deck with a heavy-duty toggle switch for lighting things up early in the morning and later in the day. Legs are adjustable to fit a long box or short box. 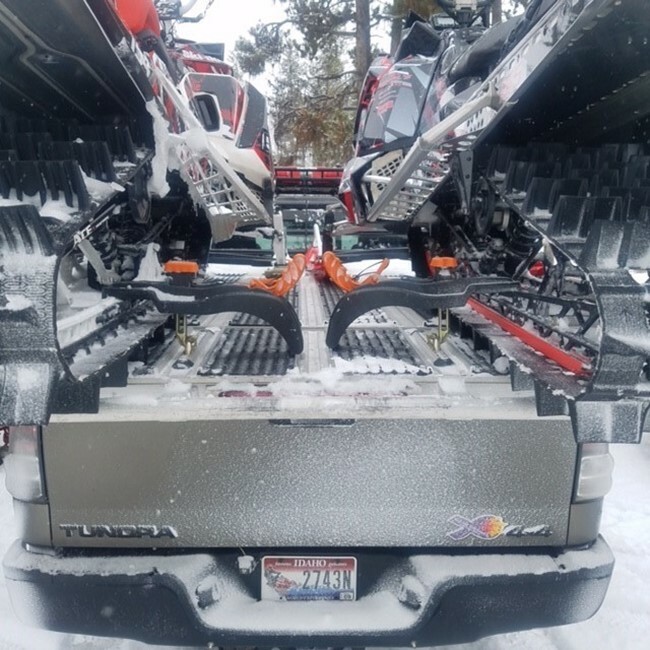 Plug in wiring harness allows you to plug your deck into your trailer lights. Check out all of the options to the left and then go Xplore like a PRO!